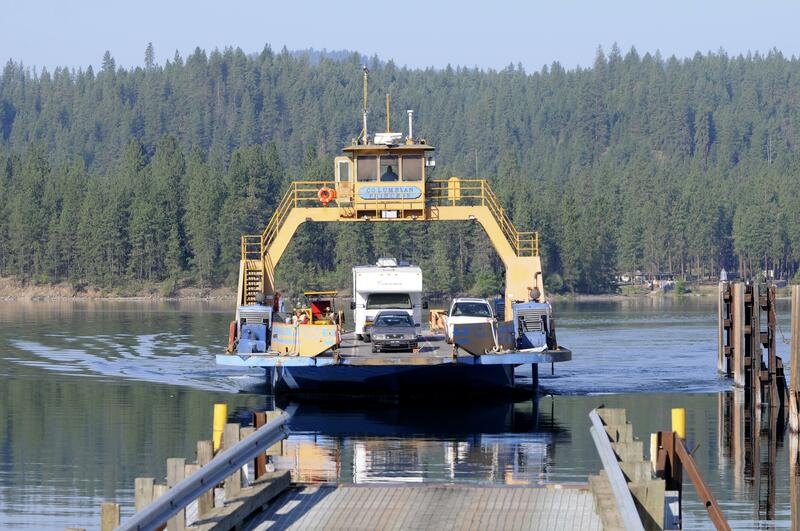 INCHELIUM, Wash. – The ferry boat that operates between the Columbia River towns of Inchelium and Gifford in eastern Washington will continue operating this season. That’s after the Colville Indians convinced the U.S. Army Corps of Engineers to change its mind. Ferry service was scheduled to end last week as federal officials draw down Lake Roosevelt to contain spring runoff. That would have dropped water levels below what is necessary to operate the ferry. But the tribe argued that many people depend on the ferry to get to work, school and medical services, especially since area roads have been damaged this winter. The Army Corps on Tuesday informed the tribe that it will keep Lake Roosevelt filled at or above 1,232 feet above sea level to keep the ferry in service. Published: April 25, 2017, 11:06 a.m. Updated: April 25, 2017, 12:38 p.m.